Out of respect to the diversity of beliefs and values among our supporters and team members, Birth Monopoly has never publicly addressed the issue of abortion. We have chosen to make an exception to that policy to write about a current event that is inextricably linked to pregnancy and birth. We ask that readers engage in this discussion with respect and compassion. What this describes is called “fetal personhood.” While this concept is generally associated with efforts to outlaw abortion, fetal personhood also directly impacts the rights of women carrying fetuses at any stage from conception on. (Throughout this article, I will use the medically accurate term “fetus” to describe a baby that is not yet born). 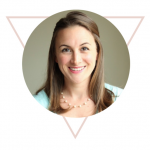 Let’s take a closer look at the concept and its implications on wanted pregnancies and births. Fetal personhood means that a fetus is a person with a set of rights that is separate from the person carrying them. This idea exists outside the U.S. constitution, as fetuses are not included in what we understand to be legal persons. Various states, however, have advanced policies and law that view fetuses as legal people with constitutional rights, with Alabama’s new amendment perhaps the strongest law to date. When this happens, the fetus, which cannot speak for itself, must be represented by someone, and that representative is invariably NOT the person carrying the fetus. Once a fetus has rights endowed by the state, the state is empowered to act on behalf of the fetus—or, in cases we have seen around the country for decades, doctors and hospitals act on behalf of the fetus against the mother, with the blessing of the state. Although the language in Amendment Two was ostensibly written to apply to abortion, the wording is so broad that it extends state and medical authority over every stage of pregnancy and birth, potentially including how and where women give birth. In a state like Alabama, women’s rights during childbirth in hospitals are already ignored on a massive scale. It was only in 2017, after a years-long battle, that the legislature agreed to decriminalize and license Certified Professional Midwives, creating a legal pathway for home birth in Alabama. On both of these fronts—how to give birth and where to give birth—the “safety of the baby” is the central argument, with medical, hospital, and physicians’ groups positioning themselves as the authorities on this question. So far, they have successfully restrained women’s rights and options in practice and in law WITHOUT an actual legal basis for fetuses being their own people with a set of constitutional rights. Amendment Two provides them with not only a strong legal basis, but what could be interpreted as a requirement to impose their preferences on the bodies, choices, and options of pregnant people. As an example, a physician who does not care for vaginal birth after Cesarean might impose a repeat Cesarean on a patient who wishes to have a vaginal birth with the argument that a Cesarean is safest for the fetus, and it is the physician’s legal duty to act on behalf of the fetus. In this case, the woman’s right to decide how she gives birth is immaterial versus the doctor’s state-supported mandate. This scenario is neither far-fetched nor imaginary. It has already happened prior to the amendment, both in and outside of Alabama, and now physicians like these are in a significantly stronger legal position to act thusly in future. It is important to note that there is no objective scientific basis for the actions in any of these scenarios, but that might not be necessary when so much weight is given to the opinions of those who are considered authorities, now supported by state policy. 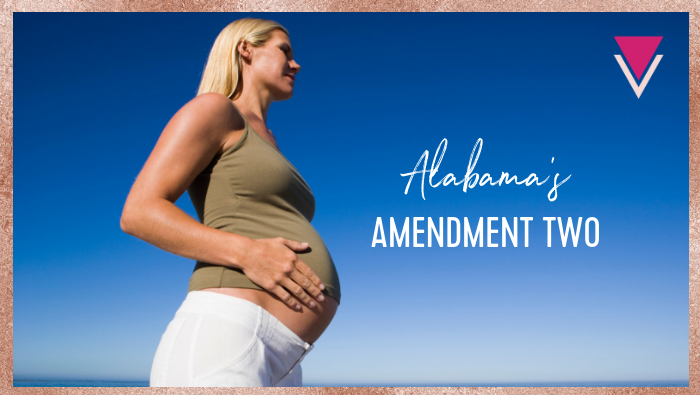 It remains to be seen how Alabama’s Amendment Two impacts wanted pregnancies and birth. Some people are optimistic that the state and state actors (medical professionals who are required to report to and act on behalf of the state) will not abuse the intent of the amendment by restricting the rights and options of people carrying wanted pregnancies. Based on everything we have seen in Alabama, from legislative and courtroom battles to the testimony of hundreds of people harmed by maternity care services there, we do not consider it rational to place this kind of trust in its state government or medical community. We invite readers to keep us posted on what you see on the ground (please contact us here) and wish Alabamians the best navigating this new landscape. This kind of legislation could also be used to prosecute women for miscarriages if they are poor, because we know that evidence isn’t required.